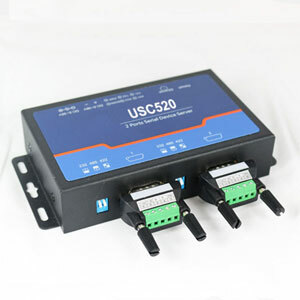 Here is a 2-port panel mount Serial to Ethernet Converter with RS232, RS485 and RS422 interfaces. 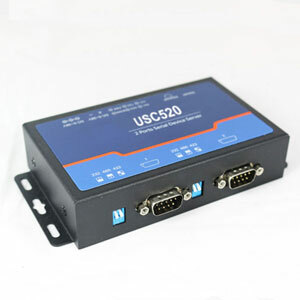 Each serial port can be used simultaneously or individually for either RS232, RS485 or RS422. 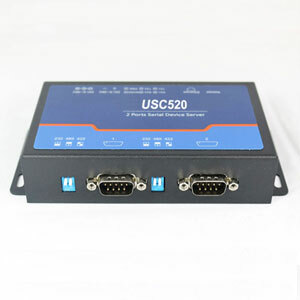 The serial ports are DB9 connectors which make it easy to connect standard RS232 cables; included are two DB9 / screw terminal headers which makes it easy to connect single wires for RS485 or RS422. This converter is a strong industrial grade converter with several advanced features. It is ideal for most applications and environments including commercial, industrial applications such as factory automation, warehouse installations and also consumer, office and laboratory applications. This serial to Ethernet converter is designed around the ARM Cortex-M4F processor from Texas Instruments which makes this it a very reliable and high performance converter with several advanced functions. The Cortex-M4F processor incorporates multiple fail-safe and error detection features which ultimately results in less problems and more uptime. Industrial applications often use the Modbus protocol to communicate with serial devices. 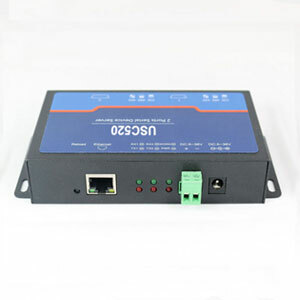 This converter is fully compatible with the ModBus TCP and RTU protocols. Both serial ports can be used individually at the same time. 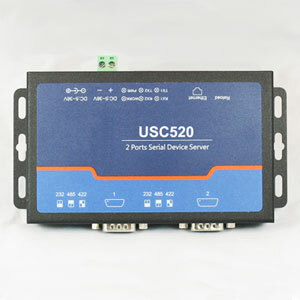 Both serial ports can be used wither as RS232, RS485 or RS422. The ports can be used as individual COM ports and transfer two separate data streams at the same time. After installing the included Virtual COM Software two separate COM ports will be created in your computer's Device Manager. Each serial port supports up to 8 simultaneous clients in TCP mode, meaning that 8 computers can connect to the converter at the same time. This is a nice feature to have if you have a large network with many clients. You can login to the converter with a web browser over a network and read the serial data processed by the converter. If the converter for some reason should require a reboot because of a lock-up, for example due to a power outage or similar, it can be rebooted remotely over TCP by sending a HEX code to the converter. This is a very convenient feature if the converter is located far away. Please see the datasheet and user manual for more details. Besides the features mentioned above this converter is also fully capable of handling more complex setups such as Serial Tunneling mode, communication without virtual COM software, access over Internet and more. Max number of clients. This is how many computers that can access the converter simultaneously 8 clients for each port in TCP mode.